Georgia, Svaneti region, Mestia, Causasus. 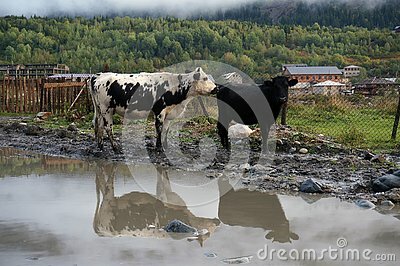 Two cows with gleam in the pool. One black, one white with black spots. Green forest in the background.